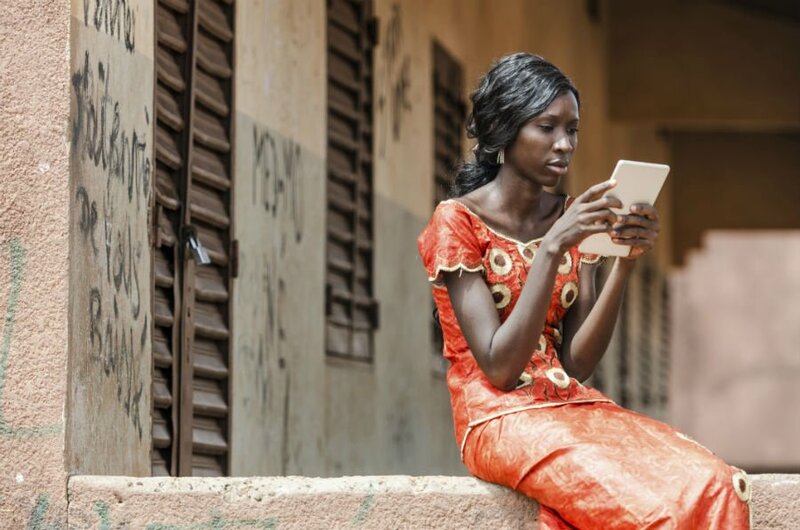 Disrupting and supporting: How can we progress with digital education in Africa? Even though the goal of improving educational outcomes may be universal, teaching and learning styles are not – there is no better example of this than on the African continent. From country to country and region to region, the progress made in improving student learning outcomes varies greatly. Therefore the way in which each educational model is devised must take into account local context if it is going to work effectively. 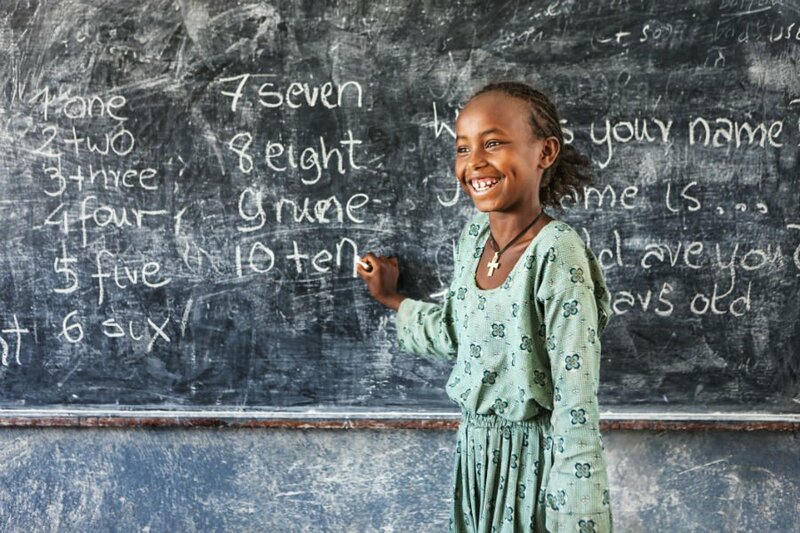 Over the last decade, the statistical improvements that have been assessed in the African education sector have mostly been centered on student attendance, participation and basic adult literacy rates. Not only do these figures fail to outline any progress that has been made on student outcomes, but they also intrinsically suggest that attendance guarantees learning. This is not to criticise the UN’s Millennium Develop Goals for universal primary education, but rather to highlight the need for a greater focus on student centered performance and learning. How can we ‘disrupt’ the current education situation by blending education, economics and technology? Can digital education localise, personalise, scaffold and monitor a student’s learning more effectively than the current practices? What does this disruption mean for teachers and educators? The lessons learnt from Africa are important, especially when discussing the relationship between technology, economics and education – this is because the assumed positive relationship between increased government expenditure and improved educational outcomes has been invalidated on a number of occasions. While charities and NGOs have historically dominated the education sector (especially in the Central and East African context) there has been a recent boom in low cost private schools throughout countries such as Tanzania and Kenya. These countries are achieving top results, above those in Southern African and in particular South Africa. Technology has been around in education for two decades, but why has it not led to improved outcomes globally? While the South African government expenditure on education is higher than most African countries, the results are near the bottom compared to its African peers, particularly in Science and Mathematics. This is in part because they have struggled to nurture the same entrepreneurial environment as those countries that have had little government funding or influence. It is for this reason that our private Tanzanian primary school has capitalised on the financial sustainability of low cost, fee-paying education to afford better teachers and educational resources. There is a strong demand from parents and students for quality private education – this supports a commercial model that can more easily provide and implement digital education resources, with training and oversight. The low income private school model leads to a bottom up and top down movement toward educational innovation – this means educational entrepreneurs can dare to disrupt rather than accept the current teaching and learning practices, especially those present in public education institutions. Without creating this solid commercial foundation in African schools, changing the ways in which schools or educational entrepreneurs can innovate will fail. Technology has been around in education for two decades, but why has it not led to improved outcomes globally? While technology is a catalyst for change as a tool, the infrastructure, in itself, is not enough. World Bank data in 2012 claimed that students in East Africa are using one textbook between 5 students and the impact of this means students do not have access to adequate resources to enable them to teach themselves, particularly where teachers are overstretched and under trained. But while there has been a move to provide more books for students, this also has not led to significantly improved outcomes. The same applies to technology. Technological infrastructure, whether it is mobile devices, tablets or computers, has led to disrupting the way we think about communication and delivery. But while the time for digital education is now, the focus must be about what the technology is delivering rather than simply how. Technology itself is just the vehicle, sophisticated and personalised curriculum is the disruptive innovation. Because of this, our company is currently working on two digital education products, IDEA STEM (for grades 7-10 across Science, Mathematics and English) and IDEA Foundation (early development literacy and numeracy) written and localised for each country in East and Southern Africa. The IDEA platform allows for an interactive, self-paced, personalised and ‘scaffolded‘ learning experience taking into account a variety of learning needs and paces - remedial, core and extension. ...the assumed positive relationship between increased government expenditure and improved educational outcomes has been invalidated on a number of occasions. We have also considered the current structural limitations in energy access, cost and connectivity, present across the continent by creating a product that is light, made for low cost tablet technology and available in an offline mode. IDEA’s goal is to harness disruptive innovation through our software with the key aim being to create student focused materials that leads to a mastery of learning rather than just learning by attendance. The IDEA Foundation product is on target to be submitted to the XPrize Global Learning competition in 2016, which will be tested in low-income communities across Tanzania. It is experimental programs such as the XPrize that give digital education businesses such as ours opportunities, both financially and educationally, to truly innovate with student centered software and technology. This raises the bar in terms of what is defined and expected when we discuss student achievement. 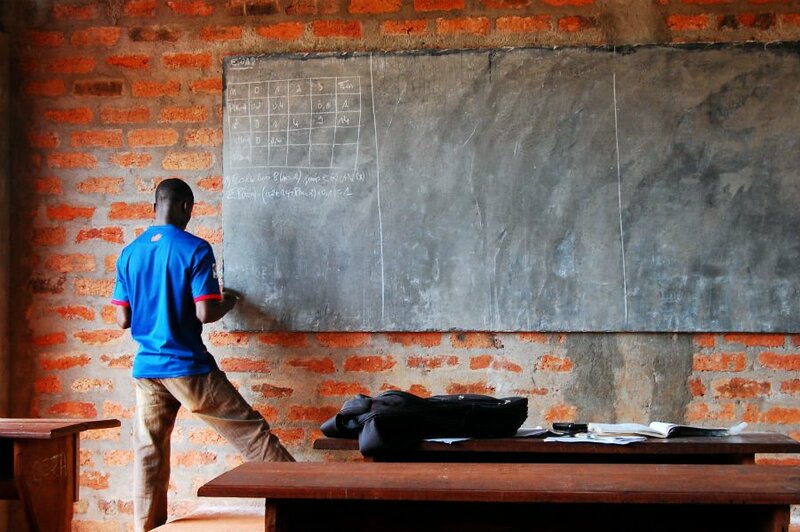 Teachers in Africa have long taken the blame for the poor results in learning outcomes. But where the majority of the population only possesses basic literacy skills, there is a smaller pool of individuals who can or want to become teachers. There is such a dearth of trained and resourced teachers across Africa that we cannot be surprised that schools are struggling to perform. As Professor John Hattie argues, structural and financial improvements, extra-curricular programs and technology in schools can not, in and of themselves, lead to significant shifts in effect size of student outcomes. He argues that expertise, training and teacher competence is the key to truly changing the performance of students. We cannot afford to underestimate the importance of teachers even as digital education becomes ever more available. Rather, we must provide the relevant training and resources especially where digital content such as IDEA is provided. Teachers in Africa can then evolve from being expected to be subject experts to facilitators of the learning by using the software and technology. By reaching out to teachers first we want to empower rather than disenfranchise them as technology takes hold in the classroom. In conclusion, we must continue to push a model of disruptive innovation using digital education, but within a supportive financial and training model. The three areas of economics, technology and training must work in parallel if any change is to occur in the long term. Our goals must evolve from building more schools and making sure students attend to concentrating on what teachers and students are able to achieve. An offering of teacher training, innovative digital content and technological infrastructure can lead to disrupting the educational context only if there are positive investment incentives for educational entrepreneurs and, most importantly, evidence of improved student outcomes.